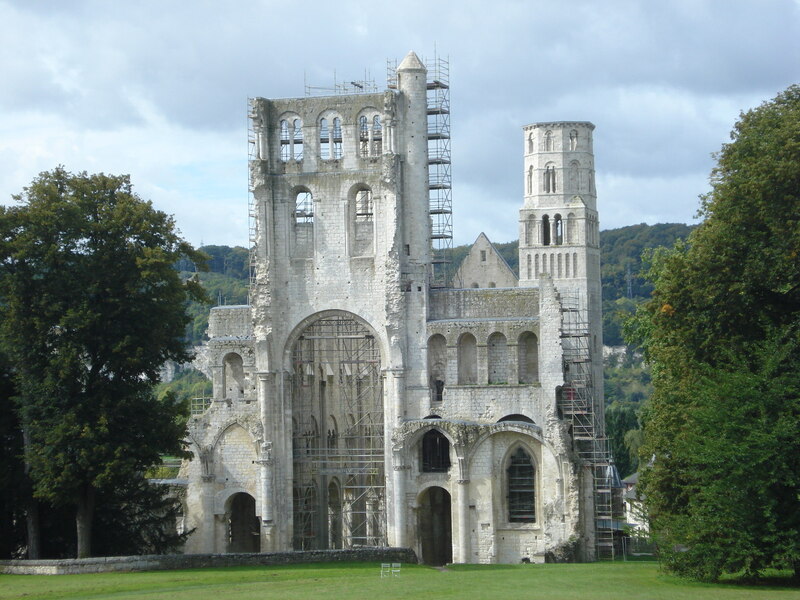 I had never heard of Jumieges Abbey before reading about it in the Michelin green guide, which gives it a rare three stars. Three stars from Michelin means you can’t miss it, particularly when it’s only 25 minutes from your house – maybe 35, if you have to wait 10 minutes for the ferry. The ferry is not much more than a sturdy kind of raft that takes about 8 cars and pops you across the Seine in under 5 minutes, to the delight of our children. While waiting, you can stock up on courgettes and lettuces from the lady who grows and sells vegetables from her house next to the road by the ferry. Originally built in the seventh century, the abbey was pillaged (how, exactly do you pillage? Can you give me a visual image?) by the Vikings. It was rebuilt and consecrated in 1067. 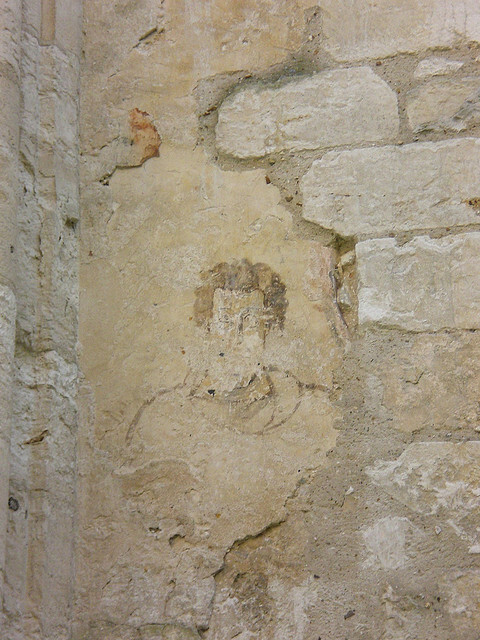 William the Conqueror attended the consecration. An early Benedictine abbot, Robert Champart, became Archbishop of Canterbury. It was an important centre of learning and power for hundreds of years. The abbey fell into ruin after the Revolution, when it was sold and became a stone quarry. The imposing twin towers and skeleton of the abbey remain, open to the sky, and towering over the landscape of the Seine Valley. The ruins are hyper-Romantic (insert your favourite Byron verse here). It’s extremely photogenic, and serves as a backdrop to performing arts events in the summer. 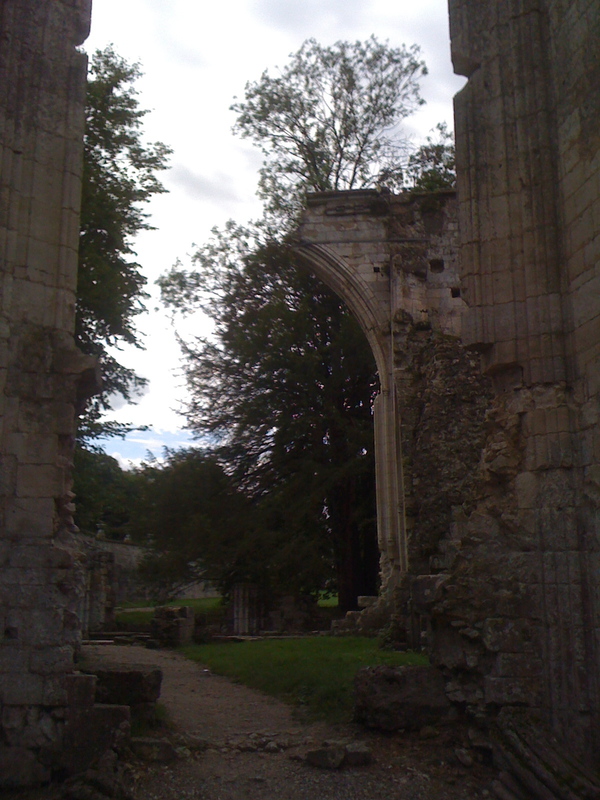 We didn’t expect our children to love Jumièges Abbey, but they did. 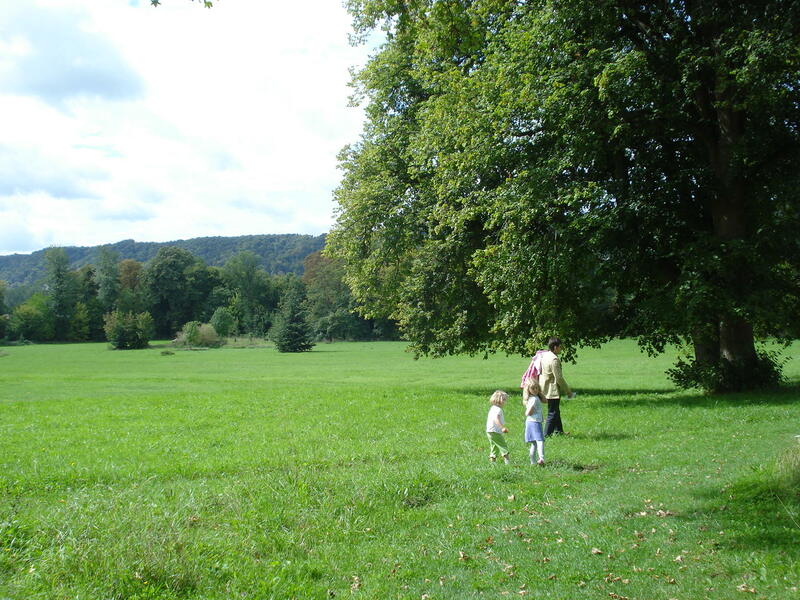 The wide open spaces, ruins you can clamber about on, and 15 acres of parkland to explore. This is a haunting, ancient image of a Carolingian man, one of few remaining traces of the monastery that the Vikings destroyed. The best known artwork from the Carolingian period (780-900 AD) are the illuminated manuscripts. What I have been mulling over is why I had never heard of Jumièges. I’ve been visiting Normandy for years (more on that later). Did it really not get covered in school? Its history is as much the history of England as of France. By some estimates, 50% of our English vocabulary today derives from Anglo-Normand, the language of William the Conquerer’s court. Beef, mutton, lentils, pears, laundry, pocket, petition, endorsement: so much of the food we commonly eat, as well as our names for things of the earth and the intellect, come from this historical exchange between Normandy and England.